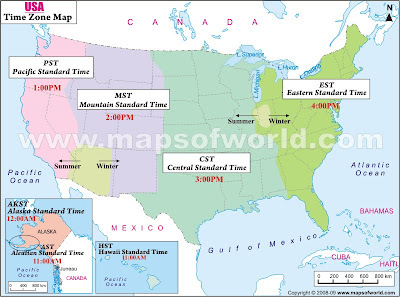 Thematic Maps are used to show specific information without distorting the given geographical location. The example above shows the time zones of the United States but thematic maps are not limited to this type of information. Choropleth, Isarithmic, and Dot maps are all examples of thematic map making.